– Delivery Destination Units (DDU) – Will accept drop shipments at our Sunday Peak DDU offices only. – Priority Mail Express Mail – Will be delivered as addressed for delivery on December 5. – Package Pickup – We will conduct scheduled commercial mailer pickups. We will not pickup from Contract Postal Units (CPU) and large volume residential shippers should work through their local Post office for arrangements. – Caller Service / Remittance Mail – Is available for pickup at plant locations only. The Package Pickup information is a bit surprising – we had seen one or two sellers write on industry discussion boards that their local Post Offices were offering them package pickup tomorrow, and it’s good to see that acknowledged. The Post Office is in an unenviable position. 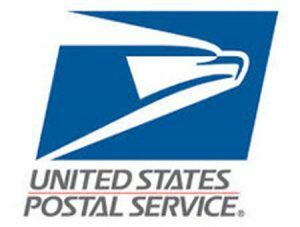 Suspending service won’t stop the flow of holiday packages, and carriers who have Wednesday off may see an avalanche of mail on Thursday waiting to be delivered. Hopefully holiday shoppers will be sympathetic. eBay and Amazon promised to go easy on sellers who may be dinged because of delays. Amazon will not penalize sellers for late delivery in case the promised delivery date was 12/5 or 12/6, since sellers cannot do anything for shipments already in transit, and Amazon will remove defects from their metrics. And Amazon won’t penalize merchant-fulfilled sellers for standard shipments with ship date as 12/5. But such promise may not be entirely reassuring to sellers who’ve experienced postal disruptions in the past. Visit the AuctionBytes Blog for updates and to comment. We ask that you keep us up to date with what you’re experiencing during and after Wednesday’s disruption to mail delivery. And if you’re looking for information about the life of our 41st President, you can see the Wikipedia entry or visit the website of his presidential library at Bush41.org. We have 5 day shipping so its not a problem. Will take the day off and enjoy our family. We have no delusions GREEDBAY WILL NOT protect anyone. So we just keep 5 day shipping. If buyers aren’t happy with that they are free to shop elsewhere where someone will jump for the carrot.